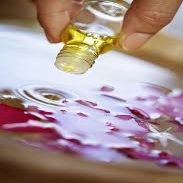 Essential oils are the fragrant, highly concentrated natural constituents that are found in plants. They are what give the plant its characteristic odour and contain the healing power of the plant from which it was extracted. When used correctly, essential oils bring a wide range of health benefits since unlike modern drugs, they have no side-effects. Tea tree oil is one of the most powerful immune stimulant oils that helps fight infections of all kinds and helps clear the skin. May Chang is known as an 'oil of tranquility' and is recognised for its powerful effect in terms of promoting physical relaxation and mental calm. It is recommended for those suffering from work related stress and an inability to switch off.